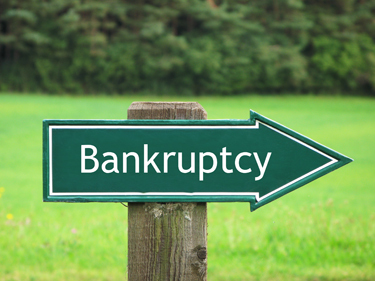 New statistics from the Australian Financial Security Authority (AFSA) have revealed that business-related personal insolvencies are on the rise across much of the country, with one mid-tier concerned that numbers could continue to rise. Yesterday AFSA released regional personal insolvency statistics for the March quarter 2017 in comparison to the December quarter 2016, showing increases in many of the capital cities and some regional states. RSM’s national head of restructuring and recovery, Peter Marsden, told Accountants Daily that accountants need to ensure their clients are on top of their cash flow and business plan in order to avoid personal insolvency. “It’s really about understanding what the business does, and then the usual tips and tricks and fundamental things that you need to do,” he said. Mr Marsden said that the biggest single creditor that pursues people to bankruptcy and liquidation is the ATO for unpaid GST, superannuation, or tax. “The big trap a lot of business people fall in to is that they don't pay their taxes because the ATO doesn't whinge if you miss one month’s payment, they really don't do very much about it,” he said. The AFSA statistics revealed that the number of debtors who entered a business-related personal insolvency in the Greater Sydney region rose 8.6 per cent from the December 2016 quarter to the March 2017 quarter. Conversely, the rest of NSW experienced a drop of 10.7 per cent in the number of debtors who entered a business-related personal insolvency. The number of business-related personal insolvency debtors in the Greater Melbourne region and the rest of Victoria rose 5.7 per cent and 8.3 per cent respectively. The Greater Brisbane region saw an increase of 13.9 per cent in the number of business-related cases, with the rest of Queensland experiencing a 2.1 per cent drop. Business-related personal insolvencies increased in the Greater Adelaide region and the rest of South Australia, rising 9.8 per cent and 108.3 per cent respectively. The Greater Perth region saw no change to the number of business-related personal insolvency cases, while the rest of Western Australia saw an increase of 9.1 per cent. The number of business-related personal insolvencies rose 84.6 per cent in the ACT, remained unchanged in Tasmania, and fell 18.8 per cent in the Northern Territory. Looking ahead Mr Marsden said further increases are possible given the current situation in the property industry and the “historically low” interest rates. “There's a lot of talk about what is going to happen in the property industry and housing in particular and what's going to happen there. Any downward movement in that is going to disaffect a lot of small businesses that use properties they own as security for their loans from the bank,” he said.